These days it seems like every business — from dentistry to software — has a blog. However, just because everyone has a blog doesn’t mean everyone is doing it right. Whether you’re just launching a blog for your business, or you’ve been blogging for awhile, it’s easy to fall into some blogging bad habits. As a small business owner, I try to truly embrace the unique opportunity that social media offers. I’ve been experimenting with our company blog for years; here are some lessons I’ve learned along the way, including the mistakes. 1. Mistaking your blog for a promotional platform. Many small business owners rush to blogging, and to social media in general — they see it as free advertising. However, when your blog posts focus too much on your company, products and services, your blog is no longer useful or credible. Few readers will return to read about why you’re so awesome week after week. If the bulk of your posts are company or product-centric, you’ll need to change the way you think about your blog. Focus your content so it offers information that’s useful and relevant to whatever your particular community cares about. For example, my company helps small businesses incorporate, file for trademarks and launch their business from a legal perspective. Therefore, we try to cater our topics toward whatever would help small business owners run their companies, from leadership and employee management tips to small business marketing and taxes. Some experts advise on keeping a 90:10 or 75:25 ratio when it comes to educational vs. promotional content. You don’t necessarily have to stick to some magic equation, as long as you keep your audience’s needs and interests at the forefront of your blog strategy. It’s easy to start a blog, but not so easy to keep it going. A small business blog usually fails due to lack of commitment or resources. A HubSpot report found that companies who blog frequently and consistently benefit the most from their blogging efforts. Before launching your blog, determine the ideal posting frequency to keep your blog fresh, for example, once or twice per week. If you need to, scout out your competitor’s blogs to gauge the average number of posts per week. In an ideal world, you should create a quarterly editorial plan for your upcoming post topics. And during downtimes, create a handful of general (non time-sensitive) topics that can be fed into the blog whenever the schedule gets tight. 3. Not engaging with your readers. A blog isn’t a press release or static web page where information simply flows from you to the reader. Social media uniquely provides a direct link to interact with your customers and community; it would be shame not to take advantage of the opportunity. If you’re fortunate enough to have engaged readers who comment on your blog posts, be sure to acknowledge them – whether by thanking them for some kind words, answering a question, providing further details, or inserting yourself in a conversation. While everyone will differ on the level of community moderation and control, the following is true: If you want to encourage engagement, you need to make it easy for your readers to leave comments. Log-in systems and captcha forms help limit spam or trolls, but they also make it difficult for the casual reader to leave a comment. Blogging can have an amazing impact on your keyword rankings and organic search traffic. I encourage businesses to develop an SEO strategy for their blogs. Identify the top keywords for your business and optimize your posts with those keywords. Tools like Scribe or Yoast can help you with search engine optimization. However, the most successful business blogs write for humans, not machines. Don’t hire a poor quality SEO company that churns out posts filled with specific keywords and phrases, without even thinking whether the content is useful or easy to read. That strategy might drive visitors to your blog, but those visitors will never stay, read, engage with or share your content if it’s poor. Keywords don’t create credibility. Write posts that are interesting, sprinkle in keywords now and then, and your efforts will be rewarded. 5. Not using images the right way. While many new bloggers focus on the words, images are the best way to grab people’s attention quickly. In addition, breaking up longer posts with images that illustrate what you’re talking about will help keep readers interested and combat our limited attention spans. For many small business blogs, the problem with images boils down to resource allocation. You may expect it to take you one hour to write a post, but only a few minutes to find an image. However, finding the right image is rarely that easy. Before you begin searching, take a few minutes to think about the main concept, feeling or idea your post is trying to convey. You should always use images that are visually engaging, aesthetically pleasing and relevant to your post. Your image needs to express a concept and not just look like you picked the first stock image that came your way. In addition, many small businesses run afoul of copyright law and fair use practices by thinking they have the right to use any photo found on the Internet. The best way to steer clear of trouble when selecting images for your blog is to use ones with Creative Commons licensing. You can search for Creative Commons-licensed images on Flickr, on the Creative Commons website or via CC search engines like Compfight or Photo Pin. 6. Not listening to your readers. Not sure what kind of content appeals to your audience the most? It’s not a mystery: Your blog analytics can provide valuable insight into what types of posts are resonating with readers. By failing to pay attention to analytics, you’re ignoring valuable information that can take your blog to the next level. Continually track the responses to each blog post. Tinker with different topics, titles and types of posts. 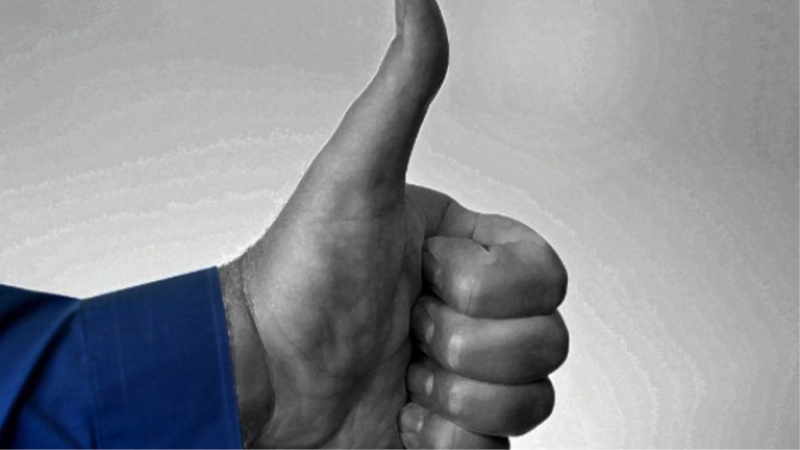 Which posts generate the most activity (comments, shares, likes)? Increase the frequency of the most popular. What are some of the top lessons you have learned with your business blog? If you follow anybody remotely interested in politics on Twitter, you’ve probably seen a reference to “mint the coin” fly across your stream at some point this month. And if you’ve seen that reference, you might have some questions: What coin? Who’s minting it? What’s it for? Here’s the skinny: According to the Treasury, the government hit its Congressionally-approved spending limit on Dec. 31 of 2012. While raising the debt ceiling has traditionally been a mostly uncontroversial practice, many congressional Republicans are now refusing to raise the debt ceiling unless Democrats agree to spending cuts. Raising the debt ceiling allows the federal government to pay back loans it already owes. If the debt ceiling is not raised, the government will default on those loans, potentially doing great damage to the still-fragile economy. The Treasury is keeping things afloat for a few weeks by use of “extraordinary measures,” but a political agreement will likely soon be needed to avoid economic catastrophe. If you’re feeling at this point a bit of deja vu, that’s perfectly normal: The situation is very much a repeat of a 2011 crisis. The debt ceiling was ultimately raised, but America’s credit rating was downgraded by ratings agencies largely because a debate over raising it happened at all. The political stand-off around the debt ceiling brings us to Mint the Coin. Mint the Coin started as a “are they joking or not?” style proposal among some leading politics and economics Twitterati, the most prominent of which is Business Insider’s Joe Weisenthal, using #MintTheCoin. The idea? Make use of a legal loophole which gives the Treasury Department the legal authority to mint platinum coins in whatever denomination it sees fit to create a $1 trillion (not a typo) coin (or a few coins in somewhat lesser amounts), deposit it at the Federal Reserve and then use that money to pay off bills. It would effectively sidestep Congress entirely, theoretically affording legislators and the president time to work on a longer-term solution. A similar idea was floated in 2011 during the last major debt ceiling crisis, but failed to gain the traction of today’s Mint the Coin campaign — speaking to Twitter’s enhanced ability to galvanize movements. Mint the Coin may sound like something too easy — or too ridiculous — to work. 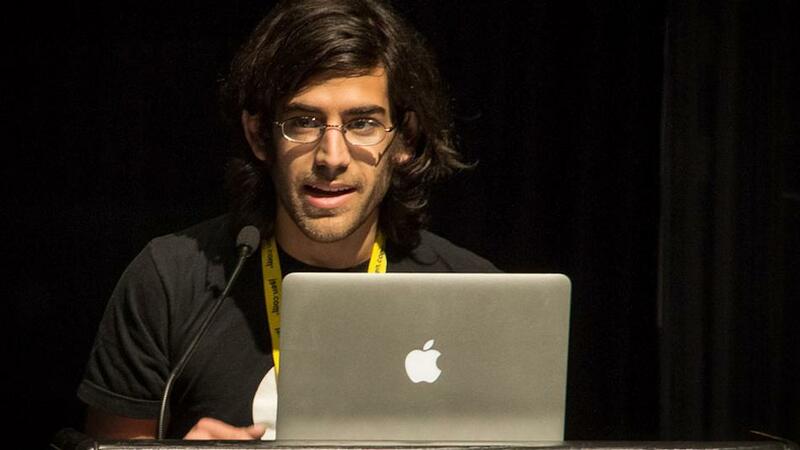 However, it has the approval of a former head of the U.S. mint and it has been hailed as a way to “avoid catastrophic economic developments and help head off government by blackmail” by Nobel Prize winner Paul Krugman. On the other hand, it has been derided as “frivolous” by the Guardian’s Heidi Moore, who along with others think it would invite economic disaster of its own (she also doubts it deserves the media attention it’s been getting). Reuters’ Felix Salmon believes it would “effectively mark the demise of the three-branch system of government” by allowing the executive to “steamroll” its legislative counterpart and is the product of minds focused on economics rather than politics. The discovery came from a study of images by NASA’s powerful Mars Reconnaissance Orbiter that revealed new evidence of a wet underground environment on the Red Planet. 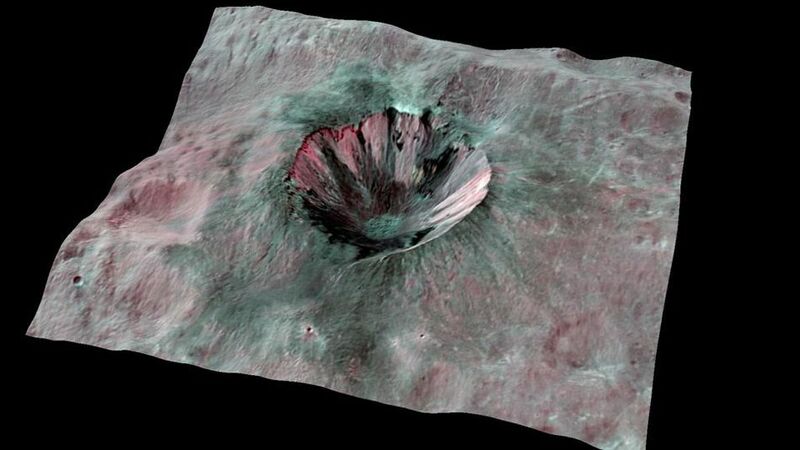 The images focused on the giant McLaughlin Crater, which is about 57 miles (92 kilometers) wide and so deep that underground water appears to have flowed into the crater at some point in the distant past. 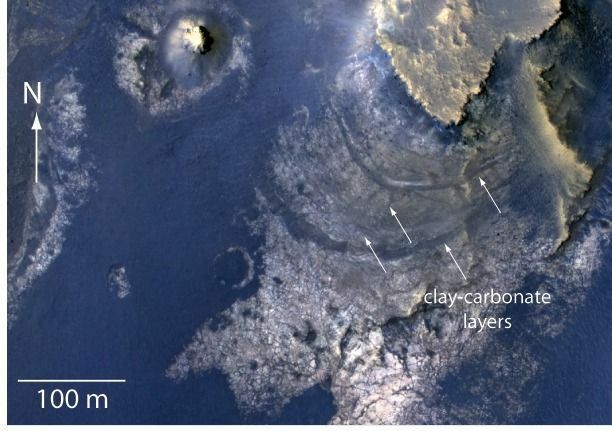 “Taken together, the observations in McLaughlin Crater provide the best evidence for carbonate forming within a lake environment instead of being washed into a crater from outside,” study lead author Joseph Michalski, of the Planetary Science Institute in Tucson, Ariz., and London’s Natural History Museum, said in a statement. On Earth, microbes up to 3 miles (5 km) or more underground make up perhaps half of all of the planet’s living matter. Most of these organisms represent some of the most primitive kinds of microbes known, hinting that life may actually have started underground, or at least survived there during a series of devastating cosmic impacts known as the Late Heavy Bombardment that Earth and the rest of the inner solar system endured about 4.1 billion to 3.8 billion years ago. “The deep crust has always been the most habitable place on Mars, and would be a wise place to search for evidence for organic processes in the future,” Michalski told SPACE.com. Scientists focused on McLaughlin Crater because it is one of the deepest craters on Mars. McLaughlin is about 1.3 miles (2.2 km) deep and is located in Mars’ northern hemisphere. The mineral composition of the floor of McLaughlin Crater suggests there was a lake made of upwelled groundwater there. Channels seen on the crater’s eastern wall about 1,650 feet (500 meters) above its floor also hint at the former presence of a lake surface. A Samsung executive confirmed to a group of reporters that the company will unveil a smaller version of its Galaxy Note 10.1 tablet at a trade show next month, a Korean news site reports. The new tablet will be Samsung’s direct competitor to the iPad mini. 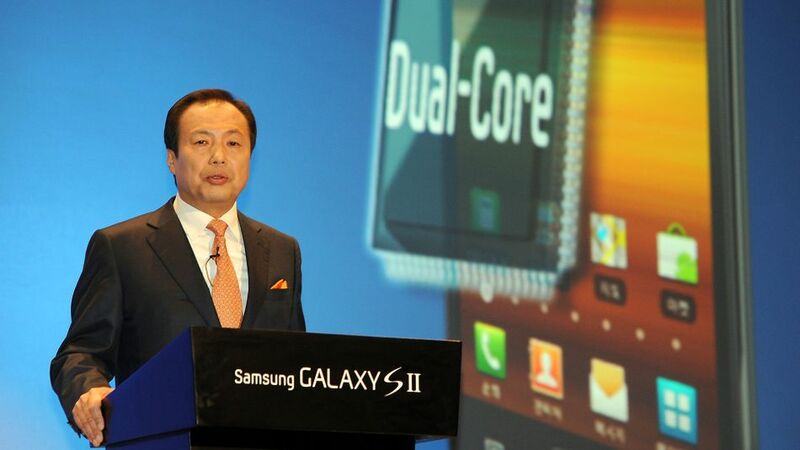 Jong-Kyun Shin, the president of Samsung’s mobile business (pictured), told reporters attending a dinner in Seoul, Korea, that the Samsung Galaxy Note 8 would be fully revealed at Mobile World Congress in Barcelona, Spain, at the end of February, according to iNews24 and reported by Engadget. As the name implies, it’ll be an 8-inch tablet, very close in size to the iPad mini (which sports a 7.9-inch screen) as opposed to the 7-inch size of the Samsung Galaxy Tab 2 7.0. Other features and specs of the device remain a mystery, but it’ll certainly include the Note line’s trademark stylus. Once the subject of ridicule, the Note stylus has become a key differentiator for Samsung, with many novel abilities such as translate handwriting to text and previewing emails by hovering over the subject line in the inbox. Currently Samsung’s Note products include the 10.1-inch Galaxy Note 10.1 tablet and 5.6-inch Galaxy Note II smartphone. Samsung just updated the Note 10.1 to Jelly Bean, though it missed its own deadline to do so before the end of 2012. The Note II already runs Jelly Bean, and the original Note (a.k.a. the Note I) was promised an as-yet-unreleased update to Jelly Bean as well. And what about the rumored Samsung Galaxy S IV smartphone? For now, that product remains unconfirmed, and Shin even implied it would not make an appearance at MWC. That’s not a surprise, since Samsung tends to launch its flagship Galaxy phones at standalone events. Last year, the company unveiled the Galaxy S III in early May. What’s your take on the smaller-screen Note tablet? Does an 8-inch screen sound more attractive than the other options? Let us know your thoughts in the comments.